Your generous contribution to Friends of Hawaii Robotics may be made today to ensure Hawaii students have access to STEM learning experiences we offer through our nine programs. By making your unrestricted gift, you will allow Friends of Hawaii Robotics the flexibility to allocate funds where they are most needed, including to competitive events, teams, and operational expenses. 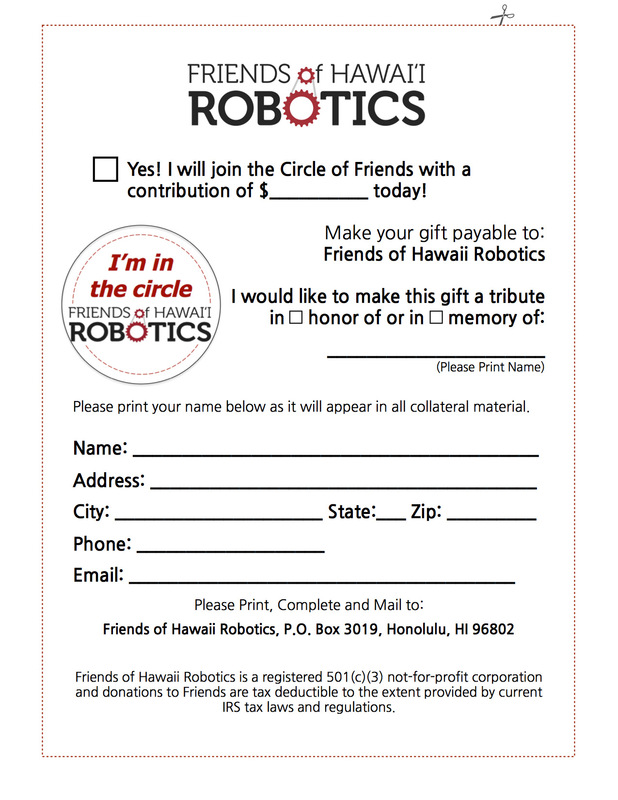 Friends of Hawaii Robotics is a registered 501(c)(3) not-for-profit Hawaii corporation; and, donations to Friends of Hawaii Robotics are tax deductible to the extent provided by current IRS laws and regulations. 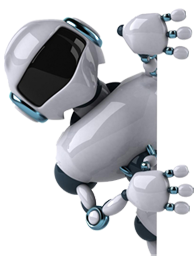 Friends of Hawaii Robotics works to support the development and growth of educational robotics. The Friends' Board of Directors is also available to meet with you to customize a specific targeted package which will meet your needs and desires. Please click on the image below to download for printing and mailing.